We are a custom woodworking shop with a goal to provide our customers with the best quality in cabinetry at a price that will meet your budget. We specialize in cabinetry and counter tops for all parts of the home. 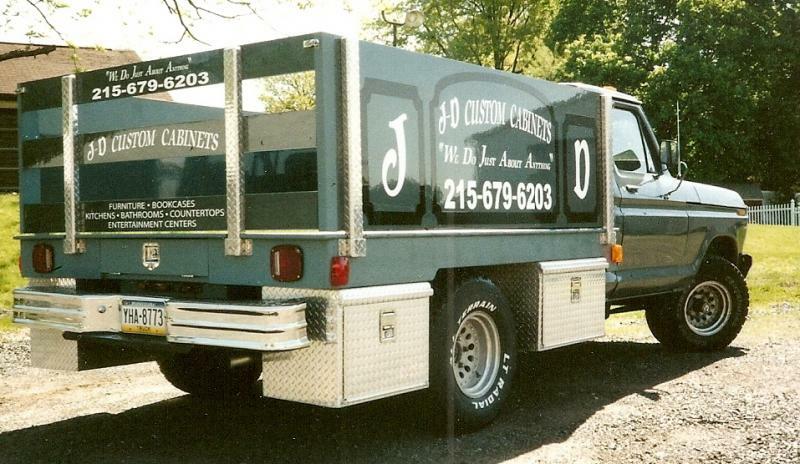 J-D Custom Cabinets has been serving the Upper Perkiomen Valley and surrounding communities since 1985. The business was first located in Pennsburg, and in 1994 moved to its former location at 150-3 Cherry Street in East Greenville, PA.
J-D Custom Cabinets in 1985.